Springtime is one of my favorite times to try something new! Here are a few outfit inspirations that can inspire you! Florals are perfect for Springtime (and anytime, really)! I love the way this blouse can turn a look into such a girly outfit. 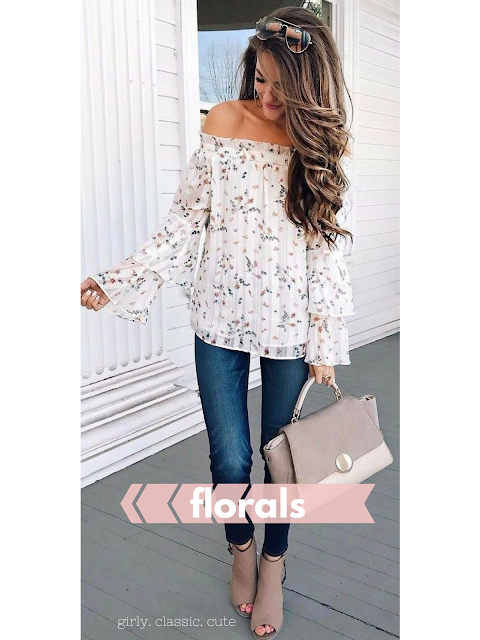 If you’re wanting to enhance your feminine side, try out some floral prints! Maybe you’re really laid back. Easy to please kind-of-gal. This look should catch your eye. 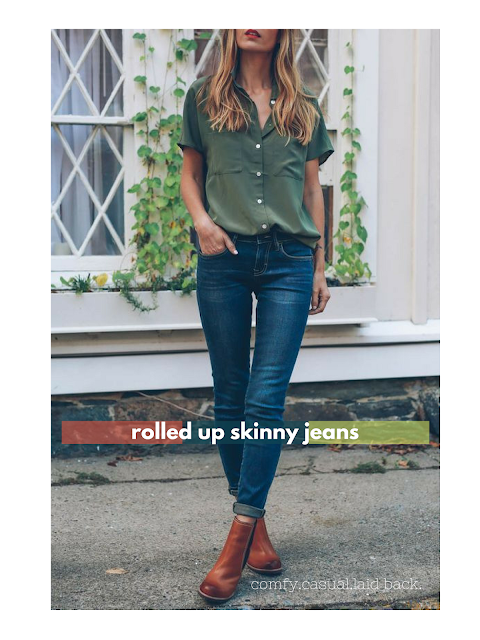 It’s stylish, yet very relaxed with a button tee and skinny jeans rolled up. Comfy and cozy are the two perfect adjectives for this look! 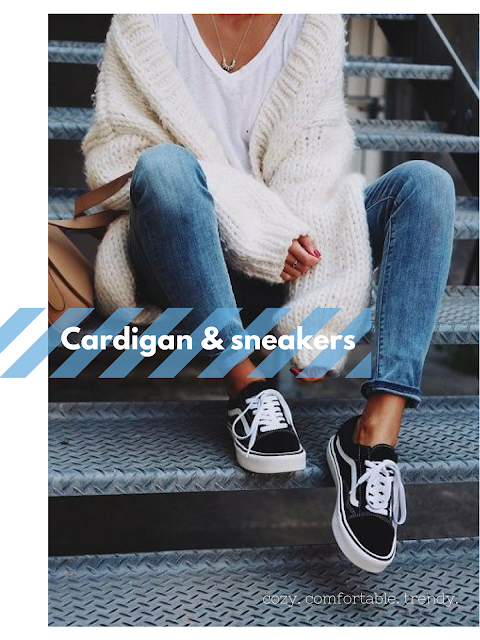 The cardigan and sneakers combined make the look effortlessly classic. A plain sweatshirt can look so much different paired with an elegant scarf. Whether you’re running errands or going to your favorite bookstore, this look is very cute and stylish! Perhaps you want to try something even bolder? 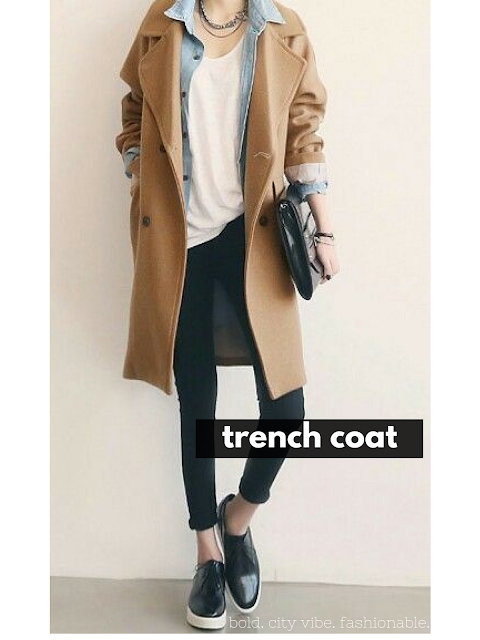 Trench coats are perfect for adding to any outfit! This look is very trendy and modern. 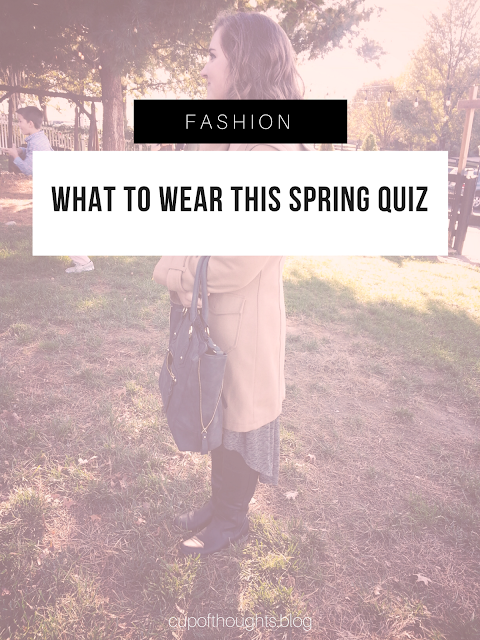 Take the quiz below to find out which outfit inspiration is perfect for you!